The Ukrainian armed forces have retaken the village of Shyrokyne near the Ukrainian-controlled strategic port city of Mariupol after Russian proxies withdrew from it, having left much evidence that they are sponsored and supported by Russia, according to Ukrainian TV Channel 5. 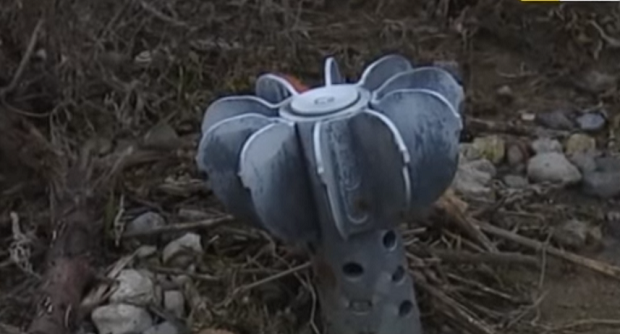 Ukrainian soldiers report that the village has densely been planted with land mines, including with anti-personnel mines, which are banned by international conventions. "The mercenaries have planted mines in almost every house, set many booby traps," press officer of the M "Mariupol" sector Oleksandr Kindsfater told Ukrainian online newspaper Ukrainska Pravda. According to Channel 5, in some abandoned houses there were personal belongings of fighters: portable transmitters, Russian army uniforms, bulletproof and assault vests. The TV journalists were shown cans with Russian-made stewed meat with the marking "Not for Sale." The journalists suggested that the cans might have arrived with the Russian "humanitarian convoys." In the near future, the defense of Shyrokyne will be reinforced by a separate unit of marines. But the military say that it is dangerous for civilians to return there, as a mine clearance operation is under way. Under the Minsk peace agreements, Shyrokyne should be under control of the Armed Forces of Ukraine.